Classic literature is not always accessible for the modern reader. Often times readers find it difficult to bridge the gap in the language or have difficulty relating to the characters and their trials. Much of classic and literary fiction does not have today’s fast-paced plot movement or general action and excitement. 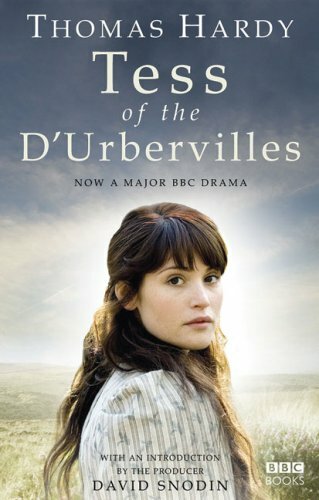 If there were ever a book to bridge the ages, Tess of the D’Urbervilles would be the one. Even though Hardy’s novel was first published in 1891, the man sat at a unique time in history between the social conformity of the Victorian era and the more relaxed sensibilities of the modern 20th Century. Not only will lovers of Wuthering Heights and Pride & Prejudice enjoy this book, but readers of Judy Bloom’s Forever and Laurie Halse Anderson’s novel Speak will be astounded by the depth of emotion and controversy in Tess of the d’Urbervilles. Tess is a beautiful and lively teenage girl who has to find work to help support her low-income family. After reaching out for help from supposed rich cousins, Tess becomes the pawn in an elaborate game of chess that strip her of her dignity and her verginity. Just when she thinks her fateful past is behind her, she falls in love with Angel who drags her heart and her sanity to the very pits of hell. While the subject matter is considered controversial in any era, the mix of the gritty ‘good and bad side of the tracks’ along with the notion of ‘star-crossed lovers’ forces to light the reality a poor girl faces trying to come to terms with what has happened to her as she desperately searches to find employment. For those readers who delight in the simplicity of a good story, you will not be disappointed. And, for those who relish in finding hidden meaning, Tess of the D’Urbervilles will satisfy even the most discerning of pallets. This is one of those rare books that transcends the ages with a story and a message still vital and relevant today.